Solution Engineering Group can design and conduct pressure tests We have tested pipe sections, water tanks, valves, brake lines and even large hydraulic cylinders to failure. Pressure tests are used to categorize the operating pressure, maximum allowable working pressure and failure pressure of equipment, containers and conveyances such as pipe sections, water tanks, valves, brake lines and even large hydraulic cylinders. Pressure can be supplied pneumatically which uses compressed gasses or hydraulically which utilizes pumps to pressurize a liquid. Solution Engineering Group can conduct pressure tests as high as 60,000 pounds per square inch. Tests can be fully instrumented to record pressure changes, displacement, time, temperature, stress and strain as items are pressurized. Our engineers and technologists have decades of combined experience designing and conducting pressure tests and have created hundreds of customized test fixtures that provide accurate data. Pneumatic Pressure: Compressed air or highly pressurized inert gasses provides the pressure source of our pneumatic pressure tests. In line instrumentation provides data showing pressure over time for testing events. Depending on the volume of the container, we can apply thousands of pounds of pressure. Because rapid decompression of gasses can be dangerous, we conduct our testing in various sized containment chambers. If required, we can use redundant containment with video and data logging to capture test results in the safest possible way. lbs. 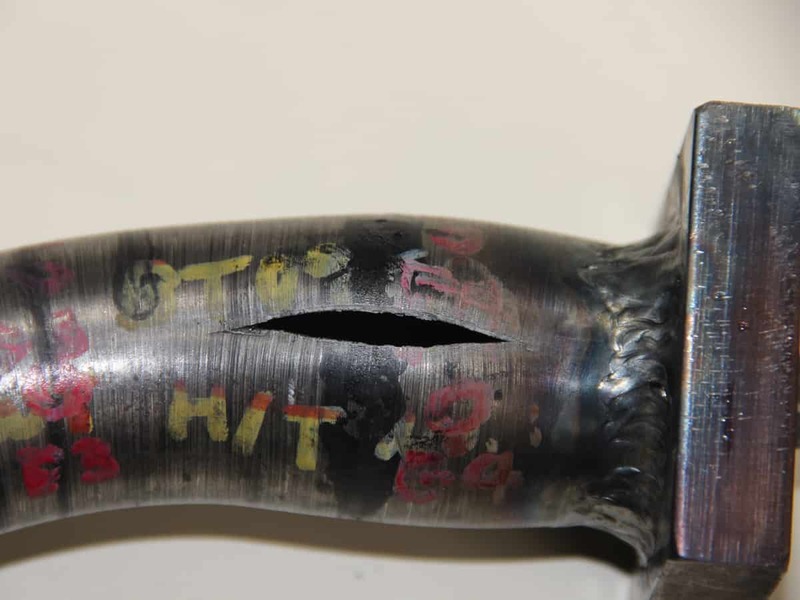 of pressure which can easily rip open steel tubing and vessels. Hydraulically pressurized vessels can also be dangerous so we use the same containment practices as with pneumatic pressure tests.